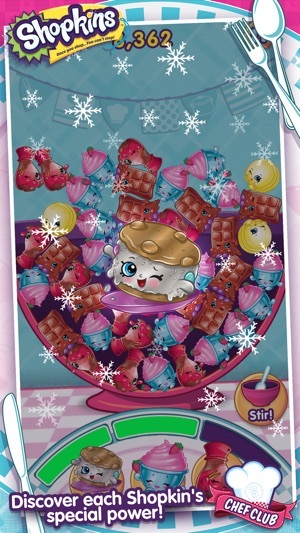 Trace, connect and pop the Chef Club Shopkins to earn high scores and rewards! Bring your favorite Shopkins with you for help in the kitchen! Scanning Chef Club toys with the game is only supported by some devices. Please check if your device is compatible before attempting to scan your toys. 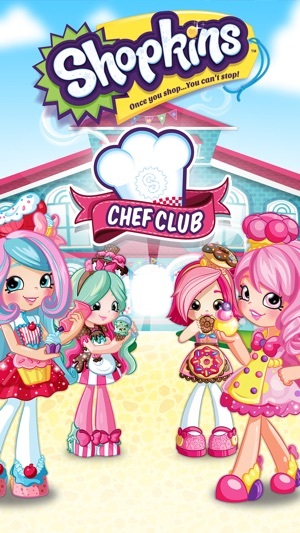 Shopkins: Chef Club is subject to the App Store terms and conditions. This game is the best!! I play it everyday and I tell all my friends to get it. 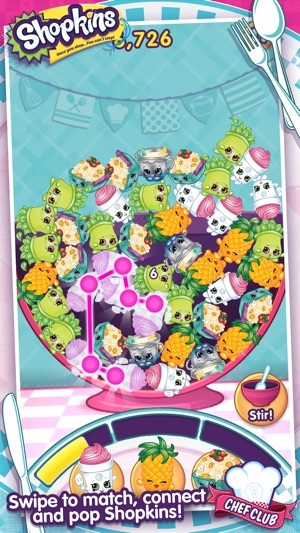 it’s so much fun especially how you can scan the shopkins and unlock them. And if you are reading this right now, listen up. YOU NEED THAT GAME! 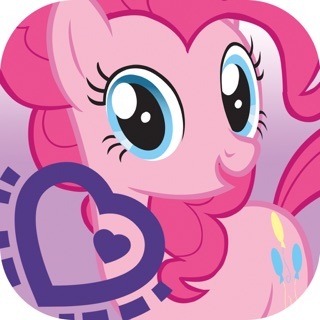 YOU ABSOLUTELY NEED THIS APP!!!!! And it has 4.4 stars probably by the time your reading this review, it’s at 5 stars. 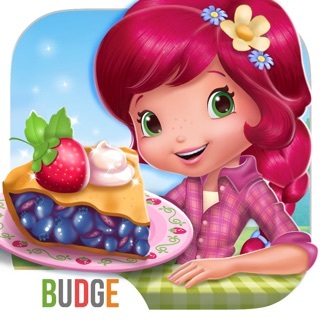 Sorry this review is so short but I don’t want to waste the time that u should be playing shopkins chef club! So right now finish reading this review, close out of this review, push download, close out of App Store, wait like, 30 seconds for it to load and download, push chef club, play 3 or 4 rounds, then come back on App Store, go to this app, (you can search it if needed) tap the five stars, and write a review just like this one. This game is fun to pass the time, but has flaws. The buy gems for coins function has never worked. Why have it if it’s not an option? And why isn’t it? 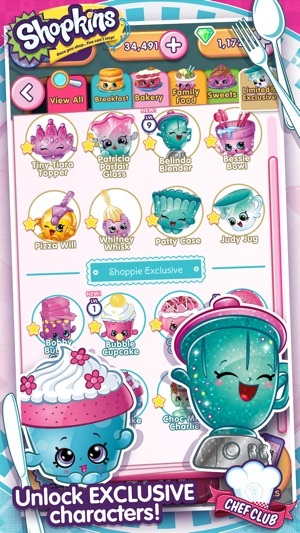 As others have mentioned, you spend so much time earning gems and coins to buy Shopkins and then are given the same ones over and over. Now, the Watch Video option is sporadically either there but doesn’t work, or doesn’t appear at all. Also, currently, it says I can earn 3 gems if I extend a game in a game, but there’s no longer the option to extend the game after the game!! And attempting to extend the game by paying for extra time with coins before the game starts, does not apparently meet the criteria and does not award me 3 gems. So I have no option to earn the 3 gems. Ugh. Started playing yesterday & it is really cute & fun. Something my daughter & I can do together. I hate that it puts you in time out after you have no more lives. It’s really silly. Also it says you can get 30 gems for 3500 coins but when I hit on it, it sends me to a screen to purchase gems. So is there no way to earn gems? This isn’t what it is says. You need to change this. I think you would have more people using it on a regular if you didn’t pause it after 5 turns. This is geared for kids and they’re not gonna be able to keep on buying gems so they can continue to play. Which means they’re going to get tired of the game and stop playing. © 2013 Moose. 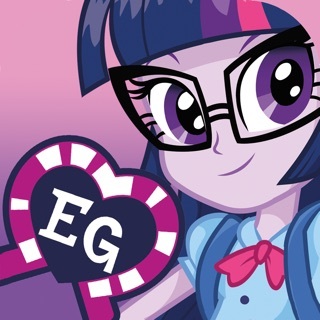 Shopkins logos, names and characters are licensed trademarks of Moose Enterprise.